1. Sheffield Park Gardens, East Sussex – informal landscape that was originally laid out by Capability Brown in the 18th Century. 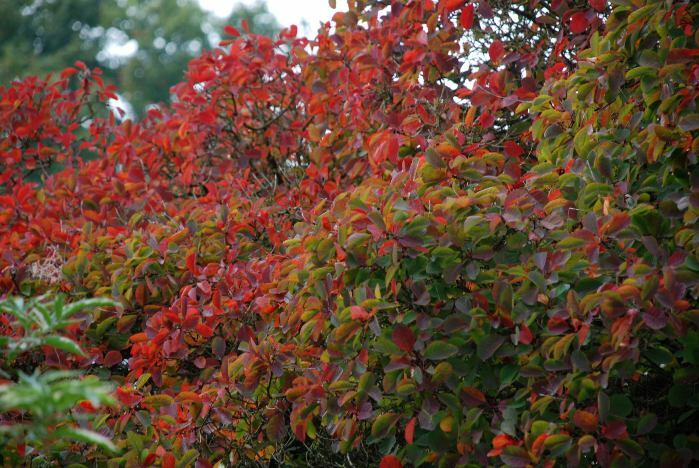 Rare trees and shrubs provide stunning colour in Autumn. 2. Isabella Plantation, Richmond Park – Ornamental woodland garden with Acers and liquidamber providing gorgeous Autumn colour. 3. 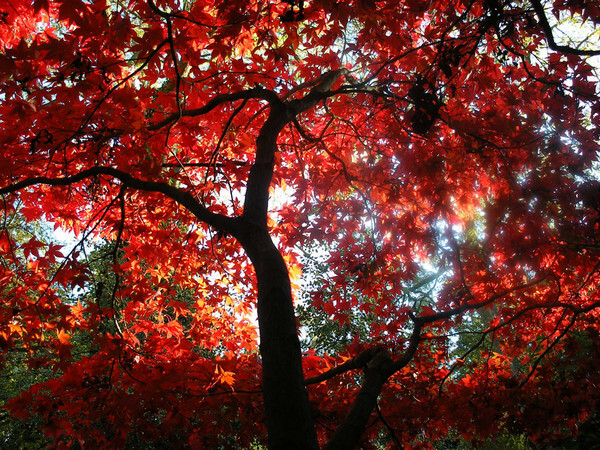 Exbury Gardens, Hampshire – Festival of Autumn Colour runs from 9th October to 7th November. An Autumn Trail leads visitors through the firey colours of maples, dogwoods and deciduous azaleas. 4. Great Dixter, East Sussex – best visited now when late Summer is turning to Autumn. 5. Penshurst Place, Kent – Eleven-acre formal walled garden vivid with apples and crab apple trees. 6. Hampton Court, Surrey – The Autumn gardens look stunning when the climbers begin to change colour and the evergreen structure is strong here. The oldest, largest grapevine is planted here too (planted by Capability Brown in 1768) which has stunning foliage in Autumn. 7. Kew Gardens, Surrey – Autumn flowering bulbs and trees with vibrant foliage. Also home to the Xstrata Treetop Walkway which allows you to walk 18 metres up – you’ll need a head for heights! 8. Saville Gardens, Surrey – Woodland garden with vibrant foliage from Acers and other trees, and the beech trees in Windsor Great Park which surrounds it. 9. Winkworth Arboretum, Surrey – Collection of trees in woodland with gorgeous displays of Autumn Foliage. 10. Claremont Park, Surrey – Stunning Autumn colour – parkland around a lake which dates back to the 18th Century.